Scientists at Washington University School of Medicine in St. Louis have shown that a particular protein may help prevent the kind of brain damage that occurs in babies with cerebral palsy. Using a mouse model that mimics the devastating condition in newborns, the researchers found that high levels of the protective protein, Nmnat1 (NAD-synthesizing enzyme nicotinamide mononucleotide adenylyl transferase 1), substantially reduce damage that develops when the brain is deprived of oxygen and blood flow. The finding offers a potential new strategy for treating cerebral palsy as well as strokes, and perhaps Alzheimer's, Parkinson's, and other neurodegenerative diseases. The research was reported online on November 4, 2011 in the Proceedings of the National Academy of Sciences. "Under normal circumstances, the brain can handle a temporary disruption of either oxygen or blood flow during birth, but when they occur together and for long enough, long-term disability and death can result," says senior author Dr. David M. Holtzman, the Andrew and Gretchen Jones Professor and head of the Department of Neurology. "If we can use drugs to trigger the same protective pathway as Nmnat1, it may be possible to prevent brain damage that occurs from these conditions as well as from neurodegenerative diseases." The researchers aren't exactly sure how Nmnat1 protects brain cells, but they suspect that it blocks the effects of the powerful neurotransmitter glutamate. Brain cells that are damaged or oxygen-starved release glutamate, which can overstimulate and kill neighboring nerve cells. The protective effects of Nmnat1 were first identified five years ago by Dr. Jeff Milbrandt, the James S.
A new chemical process developed by a team of Harvard researchers, and collaborators at Massachusetts General Hospital, greatly increases the utility of positron emission tomography (PET) in creating real-time 3-D images of chemical process occurring inside the human body. The work is described in the November 4, 2011 issue of Science. This new work by Dr. Tobias Ritter, Associate Professor of Chemistry and Chemical Biology, and colleagues holds out the tantalizing possibility of using PET scans to peer into any number of functions inside the bodies of living patients by simplifying the process of creating "tracer" molecules used to create the 3-D images. For example, imagine a pharmaceutical company developing new treatments by studying the way "micro-doses" of drugs behave in the bodies of living humans. Imagine researchers using non-invasive tests to study the efficacy of drugs aimed at combatting disorders such as Alzheimer's disease, and to identify the physiological differences in the brains of patients suffering from schizophrenia and bipolar disorder. The process is a never-before-achieved way of chemically transforming fluoride into an intermediate reagent, which can then be used to bind a fluorine isotope to organic molecules, creating the PET tracers. Often used in combination with CT scans, PET imaging works by detecting radiation emitted by tracer atoms, which can be incorporated into compounds used in the body or attached to other molecules. "It's extremely exciting," Dr. Ritter said, of the breakthrough. "A lot of people said we would never achieve this, but this allows us to now make tracers that would have been very challenging using conventional chemistry." The new process builds on Dr.
Varicose veins, sometimes referred to as "varices" in medical jargon, are usually just a cosmetic problem if they occur as spider veins. In their advanced stage, however, they pose a real health threat. In people with this widespread disorder, the blood is no longer transported to the heart unhindered, but instead pools in the veins of the leg. This is because the vessel walls or venous valves no longer function adequately. Dr. Thomas Korff and his group at the Division of Cardiovascular Physiology (Director: Professor Markus Hecker) of Heidelberg University's Institute of Physiology and Pathophysiology have now shown that the pathological remodeling processes causing varicose veins are mediated by a single protein (AP-1). As a response to increased stretching of the vessel wall, this protein triggers the production of several molecules promoting changes in wall architecture. The paper, published in the October 2011 issue of The FASEB Journal, may offer a possibility for using drugs to decelerate the formation of, or even prevent, new varicose veins. Previously, no suitable experimental systems existed for studying the way in which these changes in the cells of the blood vessels are controlled. For their studies, Dr. Korff and his team took advantage of the fact that blood vessels in the mouse ear are clearly visible and are also easily accessible for minor surgical procedures. In order to artificially set off processes that are similar to the formation of varicose veins, they tied off a vein with a thin thread. The elevated pressure in the vessels caused by the pooled blood led to the recognizable remodeling characteristic of varicose veins. In addition, in the affected veins, the cell proliferation rate and the production of MMP-2 increased. A novel study involving fruit flies and mice has allowed biologists to identify two critical genes responsible for congenital heart defects in individuals with Down syndrome, a major cause of infant mortality and death in people born with this genetic disorder. In a paper published on November 3, 2011 in the open-access journal PLoS Genetics, researchers from the University of California (UC)-San Diego, the Sanford-Burnham Medical Research Institute in La Jolla, California, and the University of Utah report the identification of two genes that, when produced at elevated levels, work together to disrupt cardiac development and function. 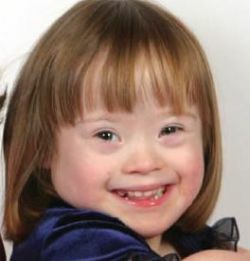 Down syndrome, the most common genetic cause of cognitive impairment, is a disorder that occurs in one in 700 births when individuals have three, instead of the usual two, copies of human chromosome 21. “Chromosome 21 is the shortest human chromosome and intensive genetic mapping studies in people with Down syndrome have identified a small region of this chromosome that plays a critical role in causing congenital heart defects,” said Dr. Ethan Bier, a biology professor at UC-San Diego and one of the principal authors of the study. “This Down syndrome region for congenital heart disease, called the ‘DS-CHD critical region,’ contains several genes that are active in the heart which our collaborator, Julie Korenberg, had suspected of interacting with each other to disrupt cardiac development or function when present in three copies. But exactly which of these half dozen or so genes are the culprits? Identifying the genes within the DS-CHD critical region contributing to congenital heart defects is challenging to address using traditional mammalian experimental models, such as mice,” added Dr.